Due to the semi-severe cramping of muscles in the right shoulder and left hip, to err on the side of caution, I decided to run a half marathon at the Hot Cider Hustle in Omaha, Nebraska, on October 28, 2017, instead of a 50K in Ottawa, Kansas, that I had eyed for months. Although I did not officially register for any race until only several days prior to the Hot Cider Hustle, I consistently trained—running, swimming, and hitting the gym—because I knew I would run another race before the end of 2017. Usually, I only allow in my head positive comments on races because running humbles me and I appreciate the humility and dedication of the running community, including event volunteers. 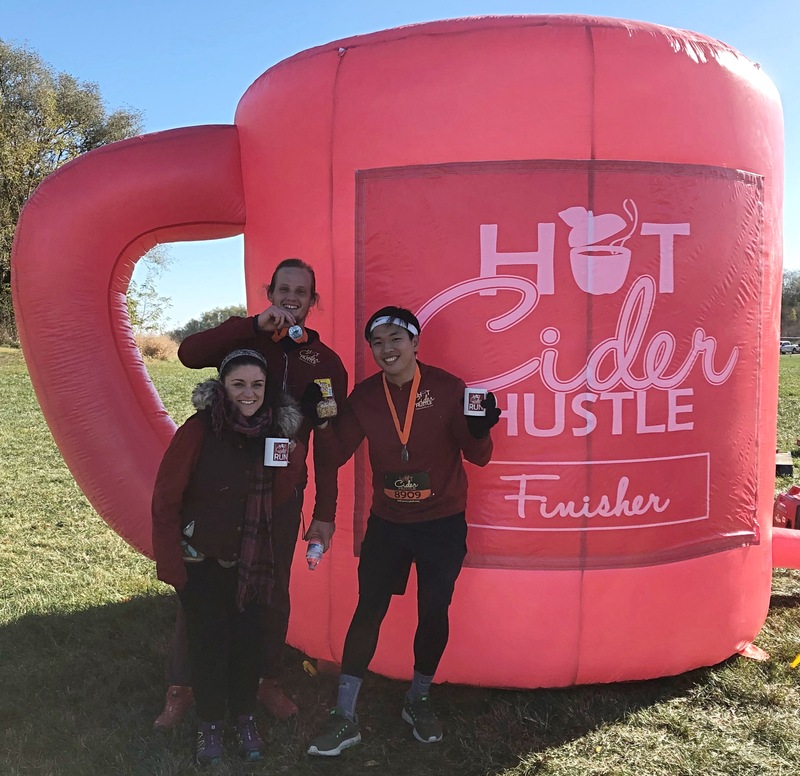 I consider the Hot Cider Run, my twenty-sixth race, incomparably the most frustrating and poorly organized race I have ever participated in. The run was set to begin at 8:10 AM, at 24 degrees with the effective temperature of 18, so I remained in the car until twenty minutes to the race. All runners toed the line several minutes before the official race time, when we, shivering in our light clothes, heard for no clear reason we would not be starting for another twenty minutes. A race this size (of supposedly 1,300) normally divides the starting times between different distances, but all half marathoners and 5K runners started simultaneously. I began the race as enthusiastically as usual until I saw the vast majority of participants who lined up at the very front walked or barely jogged, forcing me to squeeze through or run around them in the first minute and instinctively complain, “Come on!” I knew nothing about the course, so I was pleasantly surprised to run numerous rolling hills, as hills feel less redundant and thus more diverse and exciting than flat. My legs took a couple of miles to finally warm up to the freezing temperature. Half marathoners had to complete two separate loops, a 5K loop with 5K runners for the first and a lengthier loop to fill 13.1 miles for the second. About 2.5 miles in, I spotted two volunteers holding signs of “10 miles” and “5K,” and I asked as I approached five times, “Half that way? Which way do half marathoners go?” The volunteers paid no attention to me but rather chitchatted with one another, and then I was told to take a different route from 5K runners. I saw no clear direction and shouted once again, “Where the heck am I going?” when a fellow runner pointed up and said, “I think you go this way.” Several other half marathoners went the same route, and we discussed with each other, “Something doesn’t seem right,” as we continued to run into inaccurate mile signs. While some just turned around, one runner and I ran together all the way to the turnaround with two volunteers, to whom I asked, “Are we going the right way?” They answered, “I don’t know.” When I came back to the aid station I passed on the way to the turnaround and asked the same question to the volunteers, they again said, “I don’t know.” When I returned to the place where I was separated from 5K runners, a new face said, “There has been a miscommunication,” but I could not make out all he said because I was running. I turned left and took the trail I was supposed to take all along, where I had to run through or around hundreds of walkers in the 5K, and once I conquered an immense uphill, I saw two separate paths and shouted multiple times, running in place, “Which way do half marathoners go?” Here, I could no longer contain my frustration and screamed, “Fxxk this race!” about which I am still embarrassed. I decided to follow the 5K participants, and as they were turning left to finish, I shouted again to volunteers only telling 5K runners where to go, “Where do half marathoners go?” to which a girl said, “Right.” A couple hundred yards following, I saw two cones blocking the path, which usually means turn, although I was supposed to run straight; I thank the fellow runner who ran a few miles next to me for not letting me get lost again. For the remainder of the race, I only focused on escaping this bizarre maze and at one point thought, “Do I keep going when I have no idea if I am going the right way?” Around 12.5 miles for me (and 10 miles for slower half marathoners who were not led astray by volunteers), I landed where I, along with the lead-pack half marathoners, was told to take the wrong turn. The same volunteers who stood there remembered me and had me skip the extended trail because I had already completed that during the first loop. I finished the race in 2:01:27.43, which bothered me even more knowing I most likely would have broken two hours in the half marathon for a third time on this technical course had I not been led astray countlessly and wasted much energy shouting for directions and panicking about where to go. I never felt too tired physically, maybe because my mind was solely concentrated on the direction. To look on the bright side, I am thankful I completed the entire original course, although one section in reverse order, and did not have to run random places to fill the mileage and went all the way to the turnaround the first time around so I did not have to go back during the second loop and add an additional 2.5 miles to my race. I am still blown away, especially for an event this size, how not a single volunteer knew anything about the course. If 20 to 30 runners get lost this many times in just 13.1 miles, obviously the race has issues. Regardless, I still appreciate the volunteers who took time out of their weekend to help runners to a successful race. And, of course, thank You, God. Some people have beautiful singing voices, and some people are innately athletic. Some people have a flood of money, and some people have creative minds. Some people lead naturally, and some people easily inspire their neighbors. We all have different gifts. The Apostle Paul says in Romans 12:6-8, “We have different gifts, according to the grace given to each of us. If your gift is prophesying, then prophesy in accordance with your faith; if it is serving, then serve; if it is teaching, then teach; if it is to encourage, then give encouragement; if it is giving, then give generously; if it is to lead, do it diligently; if it is to show mercy, do it cheerfully.” In short, share your gifts and use them to serve others. No gift is superior to another for those who use their gifts in obedience to the Lord. As Paul writes in 1 Corinthians 14:5, “I would like every one of you to speak in tongues, but I would rather have you prophesy. The one who prophesies is greater than the one who speaks in tongues, unless someone interprets, so that the church may be edified.” Your gift loses its purpose if used only for yourself and your own humanly contentment. God will not force you to make the right choice, however, as He respects your free will He has given you. Even He cannot make those who left Him come Home; only they themselves can, as illustrated in His Parable of the Lost Son in Luke 15:11-32. Paul notes in Galatians 5:13, “You, my brothers and sisters, were called to be free. But do not use your freedom to indulge the flesh; rather, serve one another humbly in love.” Even Jesus, the Creator of the universe and King of kings, “did not come to be served, but to serve, and to give His life as a ransom for many” (Matthew 20:28). 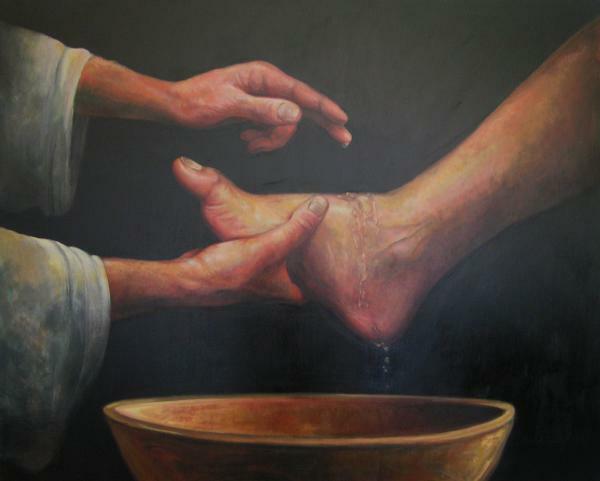 What gift has the Father given you to serve your neighbor?